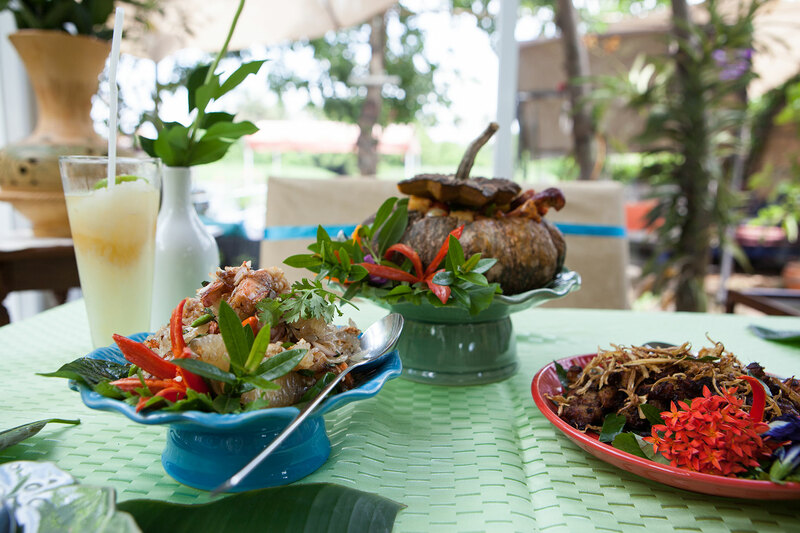 Aoy is a passionate food and yoga lover who fully commits herself to every task at hand especially when it comes to preparing authentic and beautifully presented Thai dishes. Aoy lived abroad for 10 years and now works in the tourism industry. 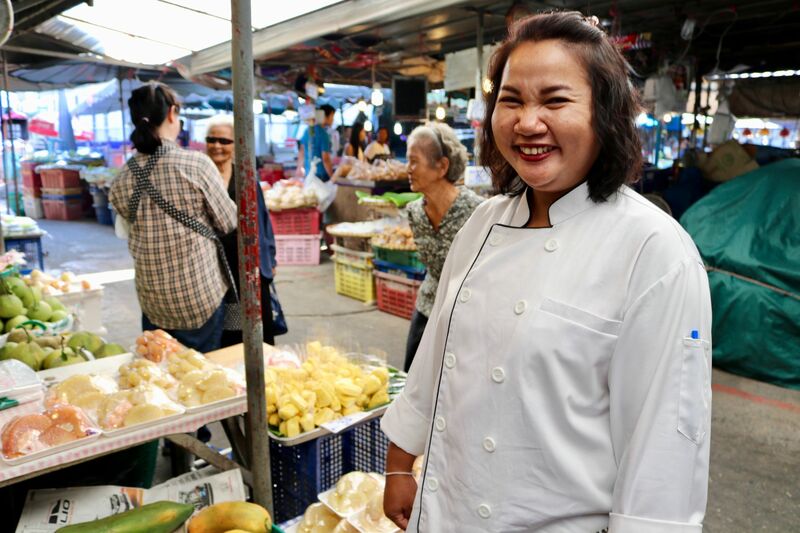 Since returning to Thailand, she has dedicated herself to teaching Thai cooking to foreigners and opening a restaurant in her home. 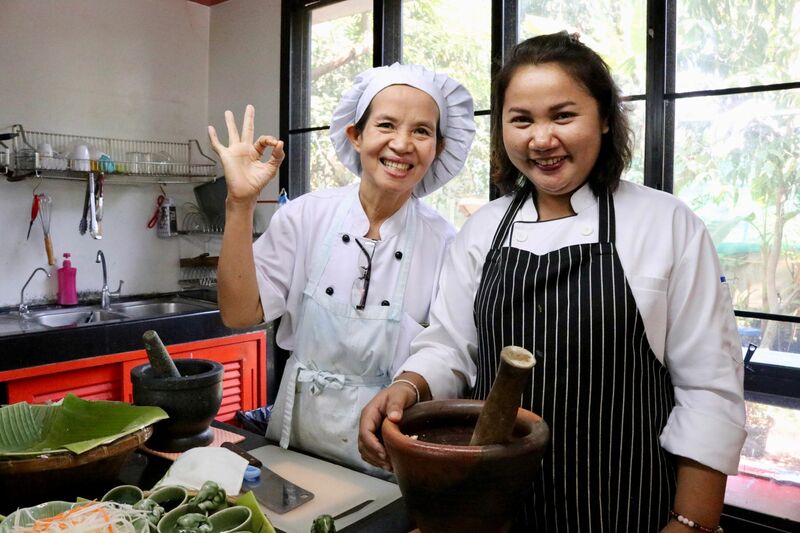 Aoy lives on a lush, beautiful property on the banks of the Tha Chin River and uses fresh herbs and produce grown in the local community in her cooking. Aoy's home is in the Nakhon Sathom Province and is a wonderful stop en route back from the Damnoen Saduak floating market into the city. On days that Aoy is traveling, her master chef will host you. Her chef has worked for years behind the scenes of some of the best food establishments in town and will pass on some of her culinary expertise as guests learn what goes into the making mouthwatering dishes, from how to slice lemongrass to figuring the perfect number of chilies to throw into the spiciest of dishes. 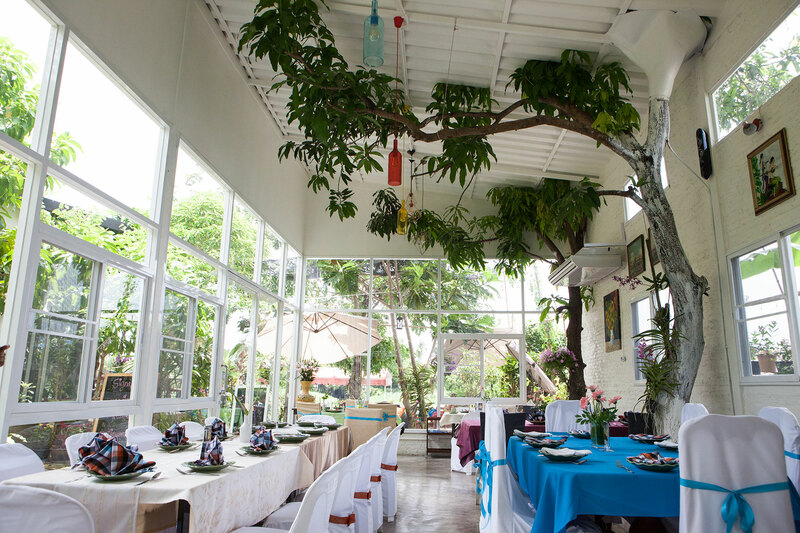 In-home meal: (1-20 guests) Dine on Aoy's creative Thai dishes based on her family recipes in an air-conditioned dining room overlooking the river (our outdoors if the weather is nice). You will enjoy a meal of two to three dishes that may include muu phad grachhay (fried pork marinated in herbs and topped with fried finger root), gang phed ped yang (red curry with roasted duck, pineapple, pumpkin and sweet basil), pad Thai with shrimp or pad see ew, somtam lood (one of Aoy’s signature dishes with shredded green papaya, shrimp, tomato, long green bean, and roasted peanut all beautifully wrapped in a noodle sheet and served with a sweet and sour dressing) or tom yam gluuay (banana in spicy soup with fragrant Thai herbs) followed by dessert. Aoy is not only passionate about cooking but also presenting dishes artfully with flowers and herbs from her garden. Please note that Aoy runs a restaurant out of her home so there may be a few patrons of the restaurant in the dining room during your meal. 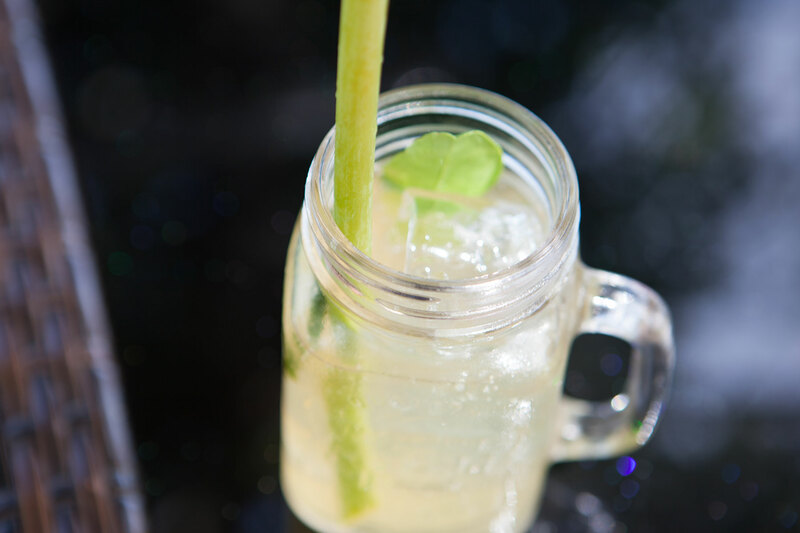 Cooking experience: (1-20 guests) After your boat ride, you will be greeted with a welcome drink in the calm of Aoy's garden oasis. You will then join Aoy in her professional kitchen studio for your cooking class. 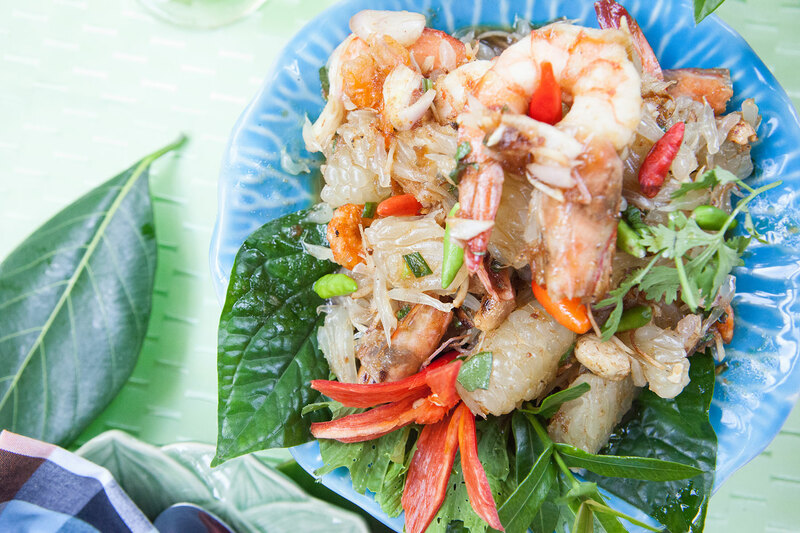 In this hands-on cooking lesson you will learn to prepare from scratch two of Aoy's favorite Thai dishes. 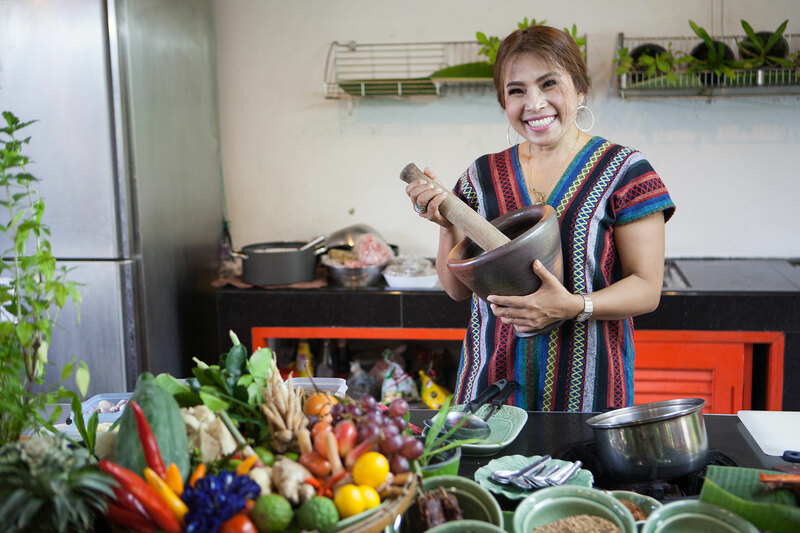 Aoy will share her deep knowledge of Thai herbs and spices and passion for cooking as you cook together in her studio kitchen that is also used by her other cooks for the restaurant or a quaint, outdoor garden kitchen she runs from her home. Be prepared to roll up your sleeves and chop vegetables, pound spices, and laugh as you cook together with this charming and fun-loving host! Market visit: (1-25 guests) Aoy (or Aoy's team) will pick you up in her car at the Bang Wa BTS Station and drive you to Don Wai Market, located next to a Buddhist temple and the Tha Chin River. The market is known for its wide variety of vegetables and Thai snacks. As you shop together, Aoy will show you regional fruit and vegetables at her preferred vendors in the market. After learning about the local produce and farming community you will board a boat that Aoy steers herself. 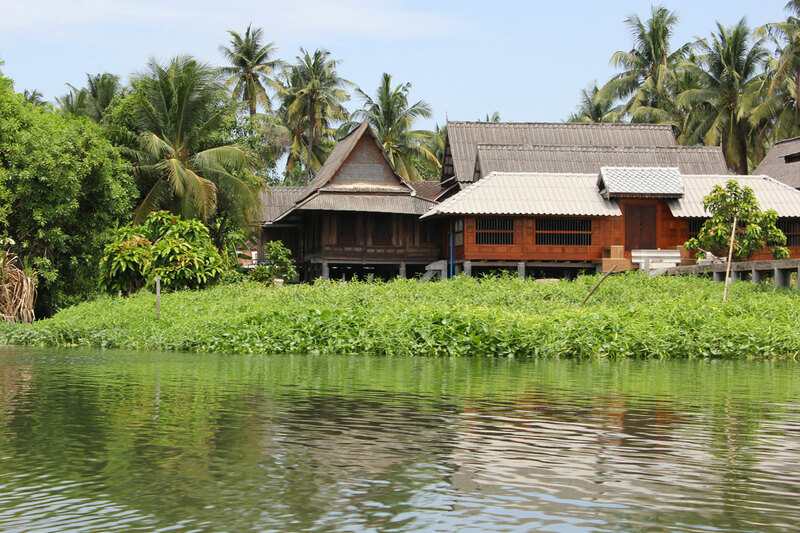 Enjoy the river breeze and passing views of local homes and lush river vegetation during your 15-30 min boat ride to Aoy's tropical riverside home. 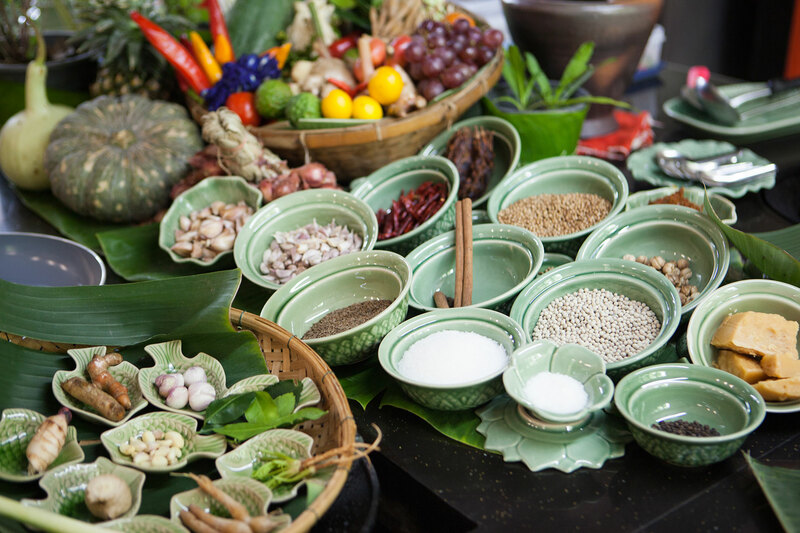 Notes: Please note that on the days that Aoy is traveling, her chef, an expert in Thai cuisine will host you for your experience. Delivered everything offered and much more. Amongst the best Viator offer cooking classes I’ve taken. Aoy met us as agreed at Bang Wa BTS on a very sunny Monday morning. Our first stop was the Flower market where we saw many fresh flowers and beautiful arrangements used for the many Thai festivals. From there, we then went to 2 local fresh food markets - and saw all the wonderful fresh fruits, vegetables, meat and seafood. There was the opportunity to pick up the ingredients for our lunch too - which were fresh flower crabs and veggies. After the second market and with our shopping, Aoy took us by boat to her home/ restaurant. Her staff had prepared a Welcome sign for our Group. We learnt how to prepare 4 dishes - a grilled chicken dish, a coconut chicken soup with bananas, a spicy Thai papaya salad (Somtam) and fried pepper crab with the flower crabs we bought from the market. Aoy showed us how to prepare the dishes as well as explained to us about the many spices that went into the dishes. She was particular about how each ingredient had to be cut - size, thickness and length - to ensure maximum flavour. She advised us that for the crabs - it would be better to steam them first before frying with the spices. Our cooking lesson took over an hour. After which, we sat down to a very delicious late lunch. Being a Monday - the restaurant was not very busy and hence allowed Aoy to spend more time with us. We enjoyed our day with Aoy. She was patient and took the time to explain the different cooking methods and ingredients used for the dishes. We would recommend a session with her as her location is away from Bangkok City. We got to see another part of Bangkok which we wouldn’t have been able to but for the class. This experience was the most memorable part of our trip. We got more out of the day than what was expected and enjoyed every minute. We got to visit three different markets, take a boat out to the cooking class and enjoy the beautiful views at Aoy’s restaurant. 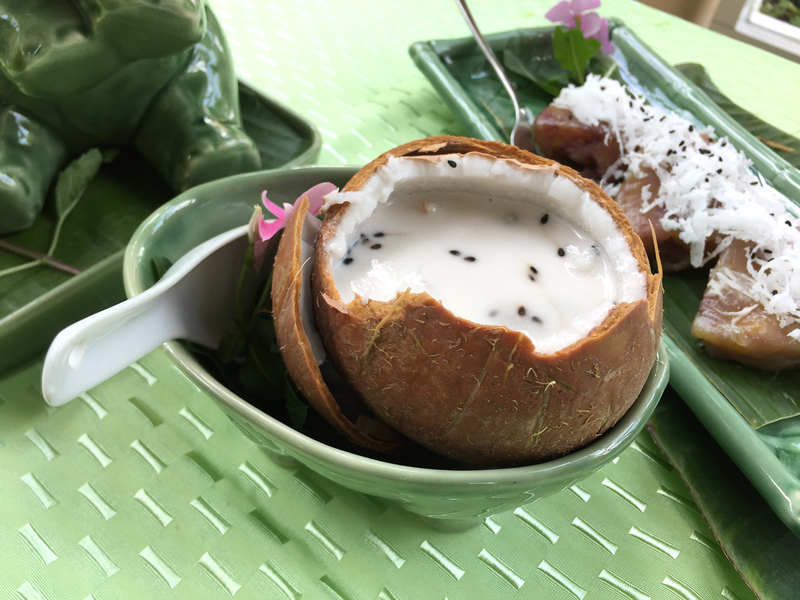 Aoy was extremely educational, my partner and I learnt not only about Thai cooking but also culture, history, Thai markets and the best spots to go. Aoy was so welcoming, friendly and helpful. It is safe to say we will be making this part of every future trip to Thailand. It was our favourite thing to do here and we can’t thank the fabulous Aoy enough for such a perfect and traditional experience. If you do one thing while you're in Bangkok, you must do Aoy's cooking class. This was one of the highlights of our trip to Thailand and we got engaged in Phuket!!! So much more than a cooking class, and so much more than a tour. Our private session ended up extending well beyond 4.5 hours and I am glad to say we made a friend in the lovely Aoy. Would recommend this to anyone looking to gain insight into Thai cooking and just general Thai customs. And of course, the food was incredible! Thank you, Aoy! You are a gem!!! We got lucky and it was just my wife and I. Aoy meets you at the exit of the Sky Train. We started with a hour tour of the Buddhist Foundation which has 1 million visitors a year. Spectacular grounds and truly off the beaten path. Then a good hour in the market by the river. Aoy knows many of the vendors and we sampled lots of items. Followed by a 20 minute boat ride and two hour cooking class. We prepared 5 dishes in a beautiful outdoor kitchen and enjoyed it at a table at Aoy’s restaurant with a view of the river. Come hungry and sit back and enjoy. Aoy is the best possible host! 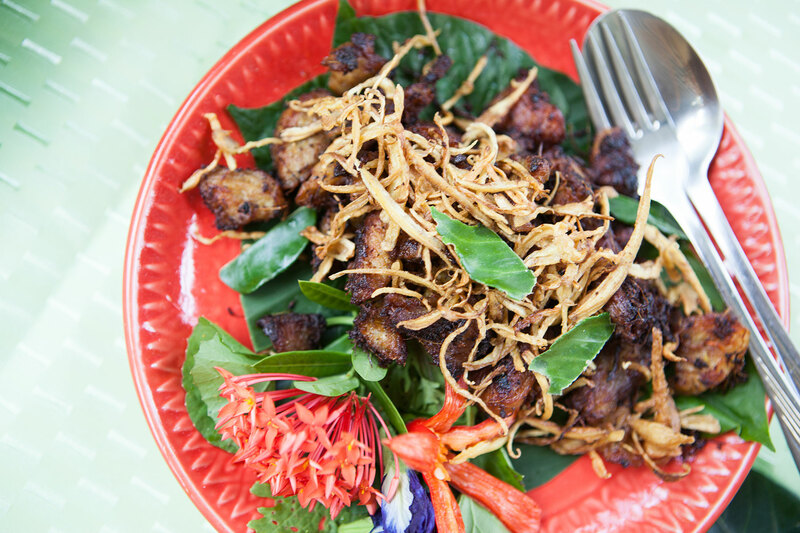 She took us to this incredible market outside of Bangkok where she knew everyone and had us taste everything. We then had a scenic lovely boat tour to her restaurant/kitchen. The set up for the class was beautiful. Each team had an assistant and we made four different delicious dishes. We highly recommend her to anyone. It was really our favorite day in the whole trip! Aoy was absolutely incredible. She wowed us with a wonderful market visit where she seemed to know everyone. Then, we took us on a majestic boat ride to her restaurant which included awesome live music. When we reached the restaurant, there was more live music, a sign welcoming our group, a welcome drink and snack that was delicious, and then we got to work. The sous chefs were very capable and helpful and I felt that we really learned how to make the dishes (and we got hard copies of the recipes when we left). Overall, the best experience we had in Thailand! Thanks, Aoy!! Oh and we loved the lemongrass towels to end our night. An amazing day lots of extras not mentioned...took us on a site seeing trip on the way to the market. Lovely woman, Lovely staff and stunning location would recommend to anyone. Aoy picked us up from the BTS and showed us a couple of markets before she drove us by boat to her place along the river. We really enjoyed Aoy and the energy she brought to the entire day. We learned how to make some interesting dishes, and more importantly got to eat them! All in all we had an amazing day and will recommend Aoy to anyone looking for a cooking or eating experience in Thailand! Aoy was an incredible host, she was warm, welcoming and charming. She picked me up from Bang Wa BTS and we drove through some beautiful parks and boulevards before arriving at the markets. The produce was fresh and Aoy seemed to know everyone there. She was eager to share her knowledge about the local produce and I was lucky enough to sample a few delicious things. After the markets we then got into a boat and traveled along the river before we arrived at her restaurant. I was greeted with tea and dessert. After relaxing for a bit, we then began the cooking lesson. Aoy accommodated my vegetarian diet perfectly - I learnt how to make a banana Tom Yum, tofu pad Thai and a papaya salad. Aoy was an excellent teacher, she explained all the steps carefully and guided me through the whole process. I would definitely book Aoy as a host again and recommend her to anyone. I truly felt like I was invited in to participate in her world and I was very grateful for the experience. She is a wonderful person who not only made me feel comfortable but also made me laugh and helped me to gain a deeper insight into the food, people and culture of Thailand. We literally spent part of our first day with Aoy. We landed, took a short nap and were the whisked into a truly local experience. Aoy took us to the Do Wai floating market where we picked up her boat and puttered up stream to her home and riverside restaurant.The food was delicious, and the presentation was beautiful. Local beer came wrapped in banana leaves with a orchid tucked in. Orchards were in fact liberally added to the table. 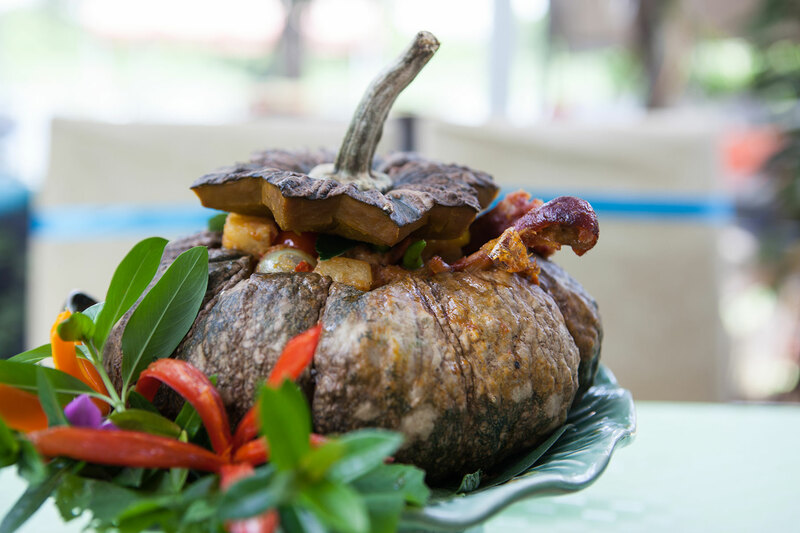 There were a number of courses including a duck stew cooked in a small green pumpkin. 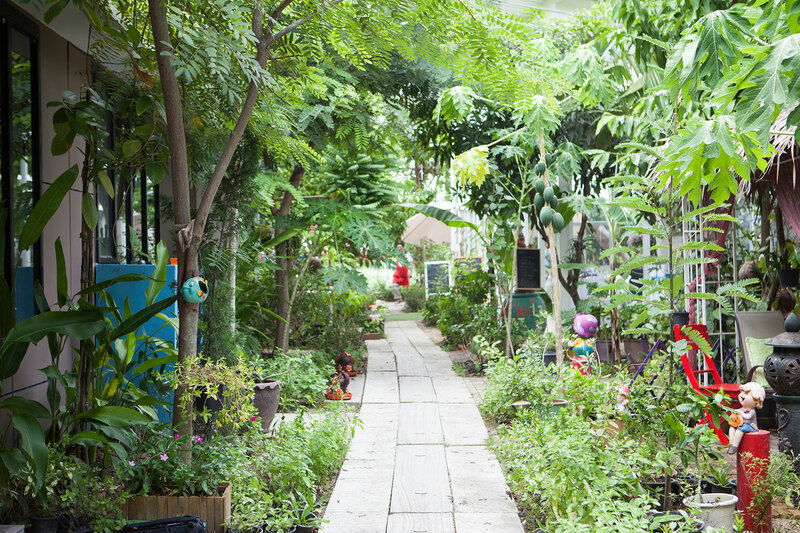 Since Aoy was our first introduction to Bangkok she asked our interests and then offered the perfect suggestions of places to go. I'm so glad to have learned about Traveling Spoon just days before our departure. Awesome! Everything was exactly as scheduled only better. Our hostess was fabulous!